Our follow-up to last year’s New Year’s Eve event is 2x as exciting as the first. 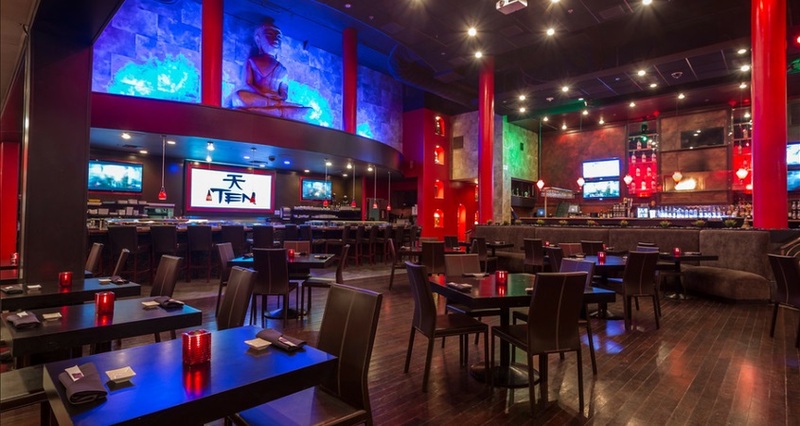 The concept is the same, three hot OC venues in one all-access NYE bash. Join us for one MASSIVE BLOCK PARTY from 2018 as we take over the biggest and best NYE New Years party playground in Orange County; Dec. 31st at the combined Ten Nightclub, EnVy Lounge and Bosscat for one crazy Open Bar after Open Bar!! 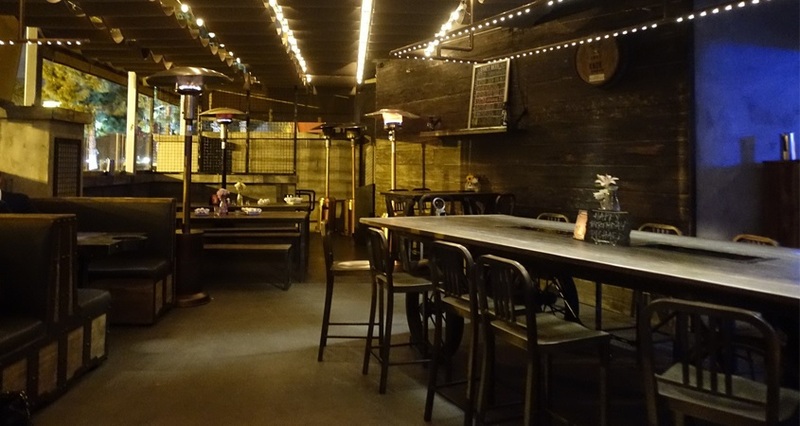 Hit multiple hot New Year’s parties in one night at the O.C. NYE Block Party. 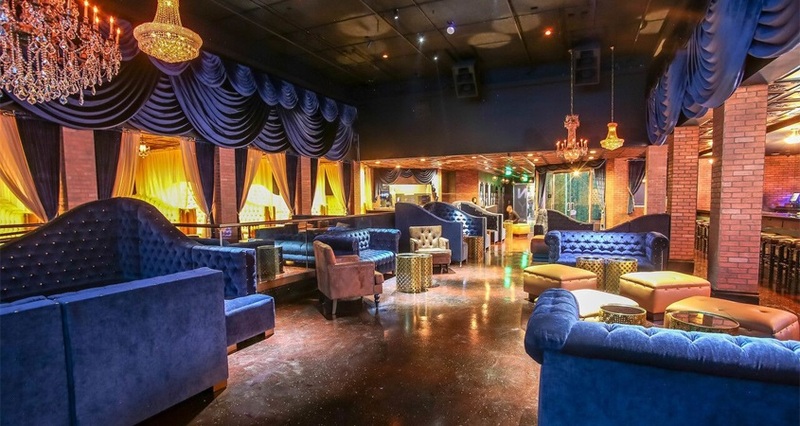 This package deal turns three nightlife hot-spots into one massive New Year’s party. Turn up the party mood at the 5-hour cash bar or 5-hour open bar. So don’t hold back. Buy early discount tickets here now and save big money! Hit the dance floor as a live DJ performance takes the night higher, spinning open format Top 40, Hip-Hop, House, and Mash-Ups. Then gear up for the live DJ countdown to midnight and ring in the New Year with a complimentary champagne toast and complimentary NYE party favors. At the O.C. Block Party, you have the freedom to settle in at one venue or hop around to another; but wherever you find yourself, your ticket gets you the VIP perks of your choosing. Whichever ticket calls your name, you can choose your New Year’s Eve experience at the O.C. NYE Block Party 2019. Need help selecting the right party? Still have questions? Our customer service team is here to help. For a spectacular NYE 2019, give us a call +1 (310) 749-9029. And don’t forget to dress to impress, you never know who you might meet this New Year’s Eve. Includes all GA benefits. 5-hour Open Bar. 2 bottles of Premium Liquor + 1 Premium Champagne Included. Includes all GA benefits. 5-hour Open Bar. 8 VIP tickets. 3 bottle of Premium Vodka + 1 Champagne Included. Includes all GA benefits. 5-hour Open Bar. 10 VIP tickets. 3 Bottles of Premium Liquor + 2 Champagne Included. Includes all GA benefits. 5-hour Open Bar. 12 VIP tickets. 4 Bottles of Premium Liquor + 2 Champagne Included. Includes all GA benefits. 5-hour Open Bar. 2 VIP tickets. 2 Champagne Included. Includes all GA benefits. 5-hour Open Bar. 5 VIP tickets. 1 Bottle of Premium Liquor + 1 Champagne Included. Includes all GA benefits. 5-hour Open Bar. 6 VIP tickets. 2 Bottles of Premium Liquor + 1 Champagne Included. Includes all GA benefits. 5-hour Open Bar. 6 VIP tickets. 2 Bottles of Premium Liquor + 2 Champagne Included. Includes all GA benefits. 5-hour Open Bar. 8 VIP tickets. 3 Bottles of Premium Liquor + 1 Champagne Included. Includes all GA benefits. 5-hour Open Bar. 10 VIP tickets. 4 Bottles of Premium Liquor + 2 Champagne Included. 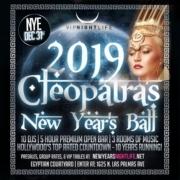 Raise the volume on your night with top 40, hip-hop, and house mashups for soul tapping, heel-clicking wonderment this NYE ‘19 at Time; Costa Mesa’s extravagant homage to nightlife panache. Top off your night with complimentary champagne as you ring 2019 with an exciting DJ-led countdown to midnight. Opt for VIP with 2hr hosted open bar 9pm to 11pm. Enjoy 3-hour open bar, appetizers, DJ dancing and fireworks show while cruising Long Beach Harbor with 250+ Dec. 31st (9:30pm to 12:30am) aboard the La Espada (85-foot double-deck) exclusive VIP yacht (21+). Board 9PM | Depart 9:30PM at Dock #2 in Rainbow Harbor Marina; 100 Aquarium Way in Long Beach. Let loose and set sail into a gorgeous So-Cal night aboard 200 person Catalina Duchess Yacht, dubbed the “Speakeasy New Year’s Eve Cruise.” This themed event will transport you back to the Roaring 20s as you’ll be surrounded by slew of movers and shakers all decked to the nines. Bring your significant and or entourage to create the ultimate experience that no club/hotel or land entity could possibly offer. Check in: 10PM | Boarding: 10:30PM | Cruise 11PM-1:45AM. 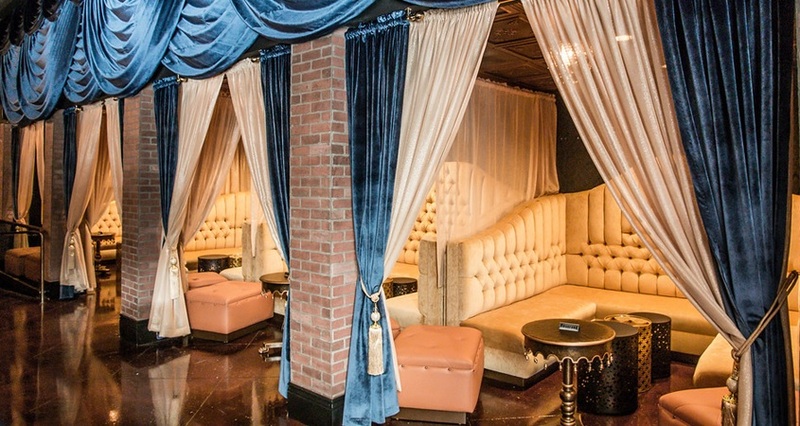 Upscale – Cocktail Attire required; Roaring 20s, Flapper, Zoot Suits encouraged. Gold & White NYE Orange County in Irvine; Dec. 31st (9pm to 12:30am) at The Nursery by Southwinds: decadent bites, unexpected entertainment, specialty cocktails, overflowing champagne. Smile for paparazzi on our Red Carpet before embarking on your journey through an insta-worthy backdrop to secure the perfect “Kiss 2018 Goodbye” photo. GA includes: tray pass apps, complimentary champagne toast & party favors. VIP includes: fast pass entry with specialty welcome cocktail, tray pass apps, chef food stations, premium open bar, party favors & midnight champagne toast. Dress: Cocktail – Upscale Chic; White & Gold attire encouraged. Jump aboard the 400-person Catalina King Yacht for a New Year’s Eve to remember. Enjoy breathtaking views of Long Beach skyline and fireworks show, plenty of fully stocked cash bars, unbeatable group rates, unrivaled VIP packages with table and bottle service, 4 DJs, 3 decks to mingle, 2 rooms of music, and 1 amazing cruise. Check in 9PM | VIP Boarding 9:15PM | GA Boarding 9:30PM | Cruise 10PM-1AM. Dress: Upscale Cocktail Attire. Ten OC is lighting this NYE on fire with an epic special event to help you dance your way into a new beginning. With a 5-hour premium open bar and multiple top DJs crushing the Top 40s along with all of this year’s best music, this is as spicy as it gets on New Year’s Eve, Newport Beach! Rock your way into a new beginning and sip on endless bubbles as you shift gears from past to future at Ten Asian Bistro.